At Layside, you’ll receive your own key for your own private entrance, where you can enjoy our unique, boutique hospitality and the stunning uninterrupted views of Northumberland from your very own terrace. 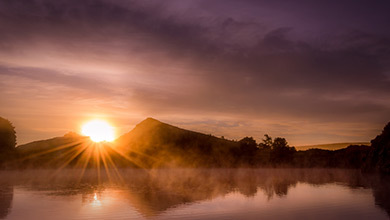 Layside is gloriously positioned in one of the most beautiful locations in the North of England, providing travellers and explorers with a base from which they can enjoy a vast range of memorable activities. 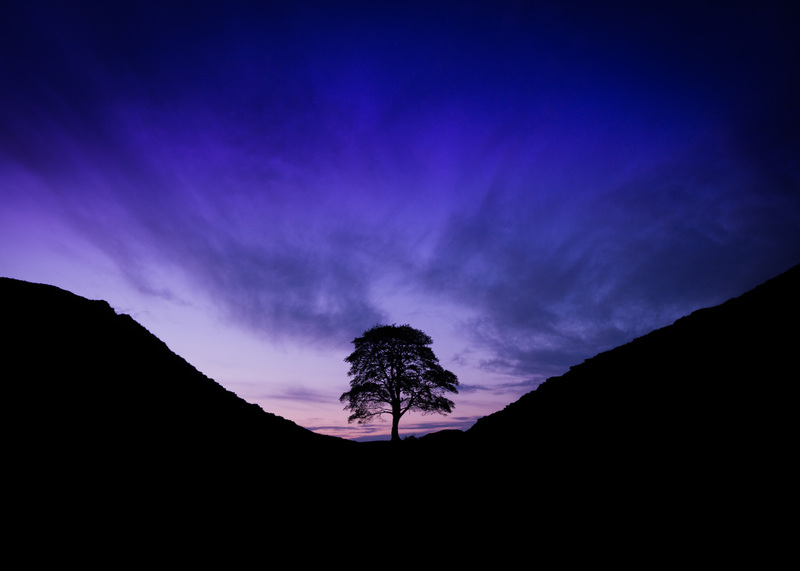 Situated in the heart of Northumberland, Layside is surrounded by some of the most famous and magical sites in the region, including the Sycamore Gap – voted Tree of the Year in 2016 and one of the most photographed locations in the whole of the Northumberland National Park – and the peaks around Castle Nick, or The Roman Milecastle 39 as it is otherwise known, which adorn the skyline in the other direction. We require full payment for your accommodation in order to secure the reservation. This can be made using credit/debit card or via BACS transfer. If payment is made via BACS transfer, your reservation will be confirmed on receipt of the payment. All credit card payments are made securely using Stripe Payment – we do not digitally store card details. Any additional items/services purchased on site must be paid for by cash or BACS transfer. Before committing to a booking at Layside, please be aware of the cancellation terms. Further details can be found in our Terms & Conditions. We are proud to announce that Layside has won a Bronze Award for “Bed and Breakfast of the Year 2018”. This announcement was made on 21st November at the North East England Tourism Awards, and it is fantastic to see that Northumberland has scored so highly across a number of categories! Layside owners Kevin and Sophie began their love affair with the area when they had their first date at Chester’s Roman Fort, and they’ve been regulars in the area ever since. “We both love it here,” explained Sophie. “I’m originally from London. I came up to university in Newcastle and then got a job at the airport, where I met Kevin and that was it! We were both explorers at heart and we have travelled all over the world but our hearts are definitely in Northumberland. 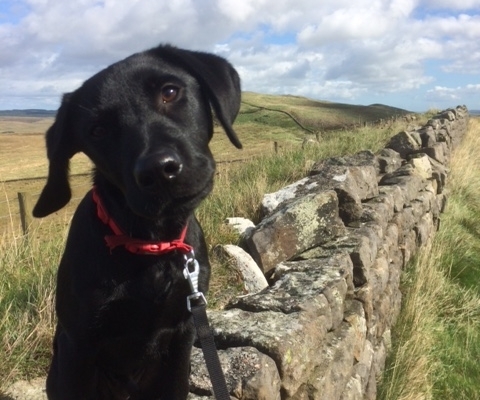 “About 10 years ago, when we got our first black Labrador puppy, we started to take long walks along Hadrian’s Wall. After Kevin lost his job at the airport, he wasn’t sure what direction he wanted his career to follow and began to contemplate what to do with his life. He spent a lot of time walking the dog in the area, which meant he was in the right place at the right time when he saw this house go up for sale. We couldn’t wait to buy it – we knew it was perfect for us. https://layside.com/wp-content/uploads/2018/10/images-2.jpeg 199 253 sophie stephenson https://layside.com/wp-content/uploads/2017/08/weblogo_black.png sophie stephenson2018-10-10 12:35:322018-10-10 12:35:32Game On! Bart walks the Wall (some of it)! https://layside.com/wp-content/uploads/2018/09/IMG_5241-e1537435309163.jpg 640 480 sophie stephenson https://layside.com/wp-content/uploads/2017/08/weblogo_black.png sophie stephenson2018-09-20 10:32:392018-09-20 10:32:39Bart walks the Wall (some of it)! “Really enjoyed everything about our stay. The food, presentation, and service was fantastic. Kevin was very friendly and informative. We loved the view from the room and how peaceful the location was. Excellent hosts who couldn’t have been more helpful. Even giving us a lift into Haltwhistle; thanks guys! Facilities are absolutely first rate. Quality fixtures and fittings and luxurious bed and bedding. If you want a tranquil location and a comfortable room then look no further. Kevin and Sophie were very accommodating and went above and beyond to help us with our weekend exploring Hadrian’s Wall. Location wise Vindolanda is a very pleasant half an hour walk / six minute drive. The rooms are situated in purposely-build accommodation a short walk away from the family’s home. The room itself has been decorated to a high finish as to create both a modern and comfortable space to hang out. Key features for us were the floor to ceiling windows – that allow you to soak up the great view of the Northumberland countryside – and the extremely comfortable bed. The breakfast hamper is delivered during a certain time during the week but we were able to opt for a later time due to it being the weekend. The breakfast was perfect and contained everything you could need to prepare for a long day of exploring; key highlights being the yogurt granola bowl, breakfast quiche, cassoulet and blueberry muffins. We couldn’t of asked for more from a B&B and would happily recommend Layside to anyone. Friendly and helpful owners. The rooms were lovely the beds really comfortable. The breakfast coming in a hamper and beautifully presented was amazing. Lovely stay. Thank you. Lovely setting in a great location to visit local sites, and great hosts. Having dinner at the Layside was a nice way to finish a day of exploring, and the food was very good. My daughter and I stayed one night whilst walking Hadrian’s Wall. It is luxurious with wonderful views, quiet and we had a good night’s sleep. We can thoroughly recommend Kevin’s evening meal and the breakfast is exceptional. Thank you Kevin and Sophie for making us so welcome. Would definitely recommend and stay again. We have had the most amazing time. Layside is a fantastic place for a holiday. The lodges are gorgeous, your hospitality is fabulous and the food was amazing. Could not fault the service or accommodation. We were made to feel very welcome and nothing was any trouble. The breakfast hamper is amazing. Everything was absolutely perfect. You are such lovely people and it was nice chatting to you and meeting the super cute Bart. Don’t think we will ever find a better and yummier breakfast, especially the pancakes. We stayed here for 2 nights to celebrate my partner’s birthday. The location is great, being perfect to explore Hadrian’s Wall, close to Vindolanda and 15 minute walk to Twice Brewed pub/restaurant. The room was immaculately clean and gave fantastic views over the Northumberland countryside, in a private setting, with only the sheep and birds as an alarm call and an undisturbed night on a superking size bed, leading to a super king size sleep. Kevin & Sophie offer a unique and friendly service, with a good range for breakfast that is delivered to your room in a quaint breakfast box. We enjoyed the breakfast cassoulet and pastries on the first day that set us up for a long days walk, and loved the July special pancake stack on our second morning. This is a great place to stay if you value the rural peace and quiet but like your modern comforts such as fancy showers, good quality bed linen and comfy beds. Kevin goes the extra mile when it comes to service – we hadn’t printed out a map so he came to find us when we got lost. You don’t get that at Travelodge! We enjoyed dinner and breakfast, beautifully presented like expensive picnics, served in our room which we ate while watching hares and birds in the fields and garden. A feast for eyes and taste buds. Felt thoroughly spoilt after a long day walking on the wall. 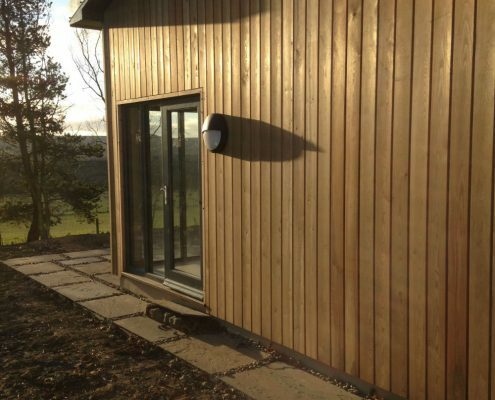 Provides privacy and solitude, with fantastic views of Northumberland. 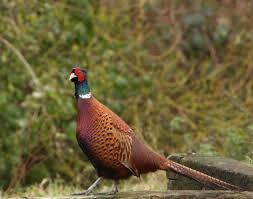 Enjoyed the generous breakfast delivered to room, with the sheep , birds and rabbits for company. 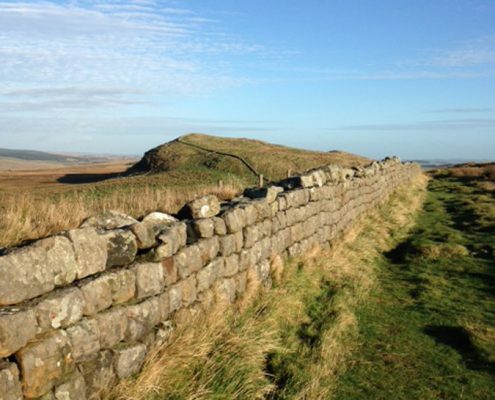 Great location for walking on Hadrian’s Wall, or visiting Housesteads and Vindolanda. Layside is about 1 1/2 miles from Hadrian’s Wall. We stayed there for two nights as part of a walking holiday. The lodges are all new and decorated to a high standard offering spectacular views of the surrounding countryside. The owner, Kevin, is very friendly and helpful, but respects and values the privacy of the guests. Evening meals can be ordered in advance, a main and dessert. The breakfast baskets offer a wide range of choices ordered in advance. Meals are delivered to the room and all very good quality. This is an excellent B&B in a fantastic location that we will definitely be returning ourselves and recommending Layside to others. Really well thought through. Great attention to detail! Loved the view of Sycamore Gap from our dining table 🙂 So much nearby: Roman Wall, Vindolanda, various national Cycle trails and national walking trails. Not too much of a detour to Steel Rigg. Twice Brewed Pub within walking distance. We ate in with a lovely bottle of wine which worked well for us. Exceeded expectations and also very good value for money. Felt comfortable, safe and relaxed all weekend. Such a beautiful place, great weekend being outdoors in the day and comfy in the room for the evening. Layside B&B is really something out of the ordinary – a very private room looking straight out onto woods and fields, luxurious furnishings, peaceful location, and best of all the most amazing food brought to the room by Kevin. He really went the extra mile with both our dinner and breakfast which were delicious and full of really sweet touches. I would highly recommend a stay here! Very helpful staff. Gorgeous location. Ideal for walkers after a long day outside. At Layside everything is perfect, from the rooms, well designed, clean, spacious, and with a lot of light coming in through the windows, to food, which was absolutely delicious (both dinner and breakfast). I stayed there one night while walking the Hadrian’s Wall and since I got tired they even picked me up were I was lost. Layside has been the best accommodation so far and it’s also close to the most beautiful part of the Wall. The view is amazing!!!! The rooms are clean and modern. It is a great place to enjoy the great outdoors. The owners were friendly and accommodating. I requested a vegan breakfast prior to our trip and this did not appear any hassle. I was offered a number of choices and the one I went for was beautiful and very well presented. I would definitely recommend a stay here. Comfortable, elegant, and relaxing. We were well cared for from the first moment to the last. It would be a good place to honeymoon. A great place to stay – really comfy beds, high quality linens, a lovely shower and amazing breakfast – not to mention spectacular views! Would definitely recommend and have already been back for a return visit! My husband and I visited Layside with our dog Mustard, and it was absolutely everything we hoped it would be. The accommodation was simple, modern and clean and the views of the surrounding countryside were spectacular. 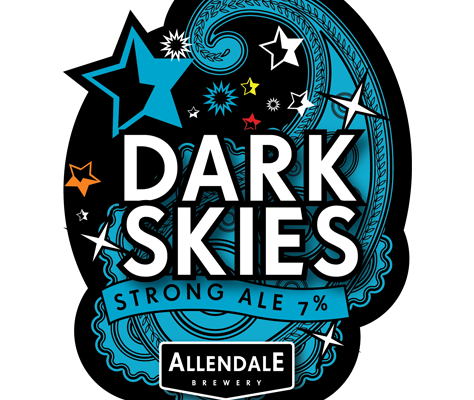 The food was all excellent, and it’s also definitely worth ordering the local ale selection. Mustard liked watching the sheep, meeting Bart, and was grateful for all the treats and sausages that arrived with each of our meals. Highly recommended, and we hope to visit again. Heel mooie B&B, Prachtige en rustige omgeving. We zijn heel vriendelijk ontvangen. Een echte aanrader! I stayed two days last week at the Layside while walking Hadrian’s Wall with my daughter. The accommodations are very comfortable, clean, nicely presented and a perfect retreat after a hard day on the trail. We arrived just before a rainstorm to be met by Kevin who soon had a wonderful meal for us and some great local ales and cider. It raised our spirits and convinced us to keep pressing forward on our trek. One of the best things about Layside is its proximity to Vindolanda. We spent a wonderful afternoon at the Roman site in the museum and also watching the excavations. Kevin and Sophie were very considerate and hospitable. Kevin particularly went out of his way to make us feel welcome. Kevin is a calm influence and full of local knowledge. I would recommend Layside as an excellent base for anyone in the region. It is absolutely first rate! Amazing view, location and food! The breakfast and dinner was just perfect. Perfect view (of Sycamore Gap) from the location, but also a very nice trip to walk to. Absolutely terrific accommodation – all the basics were absolutely right and luxurious. Lovely to have a warm delicious homely meal cooked for us after a day of hard walking. Stay for more than one day! Everything was perfect. Thank you so much. Kevin, you (and Eddy and Burt!) made us feel very welcome. The building and bedrooms are well designed, beautifully decorated and comfortable. The food is delicious – Lucy was just sorry she was so full from dinner she couldn’t eat the pan haggarty for breakfast! (I’m going to add that and the vegetarian shepherds pie to my repertoire at home). We hope to get back some day. Kevin was the perfect host and our evening meal and breakfast were both delicious.My husband particularly enjoyed being able to have a beer with the very meaty shepherds pie which was served with perfectly cooked vegetables. With apple crumble to follow he was in heaven! The bed was large and very comfortable and the shower was hot. A fantastic stay and meeting Bart the black Labrador was just lovely. Thank you. 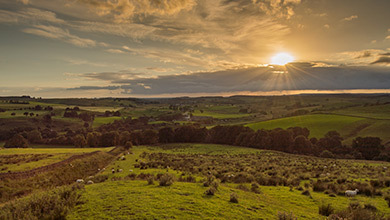 We found Layside to be the perfect place to stay to explore the Hadrian’s Wall area. We were warmly welcomed and looked after throughout our stay – a nice balance of privacy and service. The cooked breakfast was a highlight. The accommodation was simply stylish, modern and comfortable – particularly the bed. The rural view was beautiful and tranquil. We would happily recommend Layside. Thank you Kevin and Sophie. We had a very comfortable stay in this outstanding accommodation. We loved the breakfast and dinner box deliveries, along with the pre arranged drinks order (thanks to you being licensed) and the extras for our dog (jar of treats and slices of sausage for her breakfast) who was staying with us. It is a lovely location with wonderful views and very close to Sycamore Gap and Hadrian’s Wall. We are looking for an excuse to come back again. As there was such a wonderful selection of food in a box options, we didn’t really explore the local eaters, which was lovely as we didn’t have to worry about driving or trying to find places. But having said that we did enjoy a couple of afternoon tea stops at The Sill, which is use nearby too. Great access to as much or as little of Hadrian’s wall and other walks as you want/need. I had a wonderful 2 night stay at Layside. Kevin and his family were very welcoming and delivered the perfect balance of great service and a relaxing and peaceful environment. The welcome book is very comprehensive offering useful and clear information. The room was impeccably clean with good spec furnishings and appliances. I stayed during some fairly cold weather and enjoyed a perfectly warm room throughout my stay. The rooms feel luxurious and yet remain very practical. It was refreshing to note that there is a focus on sustainability within this business. Breakfast was lovely, arrived hot and well presented. The menu hosts a good variety of options to cater for all tastes. When in the area I will be choosing to stay at Layside again. We had a really fabulous stay at Layside. The room was beautifully positioned with amazing views, an extremely comfortable bed, and a swanky bathroom. The food was also excellent and breakfast in bed was such a treat. Lovely relaxing retreat. Accommodation lovely, breakfast hamper delicious and great hospitality. We thoroughly enjoyed our stay, thank you to Kevin and Sophie. Superb location, beautiful room, lovely meals. This is stylish and simple. Lovely, lovely place to spend New Year. Thank you Kevin and Sophie for your hospitality…..
Great for walking, chilling, views, a real gem! We had a fabulous stay at Layside. The accommodation is extremely comfortable: beautifully and tastefully appointed. We had a delicious dinner and breakfast delivered to our door by Kevin. There are lovely uninterrupted views over the fields and to the hills beyond. We watched a hare bounding across the field in front of our chalet whilst we enjoyed our breakfast. It’s a perfect location just a few minutes drive or short walk from Hadrian’s wall (Sycamore Gap), the Sill and Vindolanda Roman Fort and Museum. We loved it. And hope to return some day. https://layside.com/wp-content/uploads/2017/11/80.jpg 1333 1000 sophie stephenson https://layside.com/wp-content/uploads/2017/08/weblogo_black.png sophie stephenson2017-11-30 11:45:132017-11-30 11:51:09Building work complete. 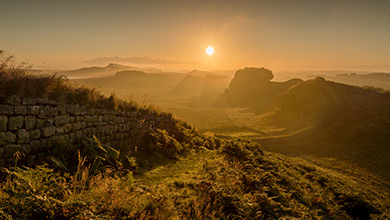 A boutique new B&B is now open for bookings, offering travellers and adventurers a unique and unrivalled view of Hadrian’s Wall and the surrounding countryside.